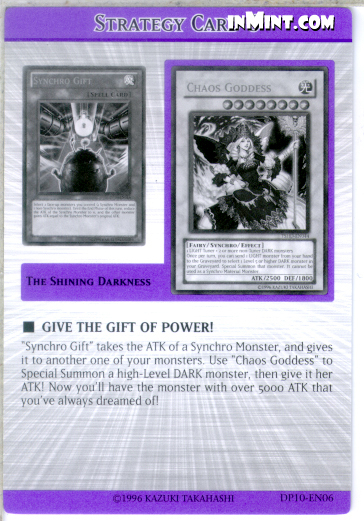 "Synchro Gift" takes the ATK of a Synchro Monster, and gives it to another one of your monsters. Use "Chaos Goddess" to Special Summon a high-Level DARK monster, then give it her ATK! Now you'll have the monster with over 5000 ATK that you've always dreamed of!